Ascot six-furlong record holder Blue Point could return to his happy-hunting ground for the Qipco British Champions Sprint at Ascot on October 20. The Godolphin-owned speedster, trained by Charlie Appleby, ran the fastest time when winning the Pavilion Stakes in 2017 and is among 42 entries for the Group One. Blue Point’s most recent Ascot win came in the King’s Stand Stakes at the Royal meeting when he inflicted a rare defeat on Battaash over five furlongs. Charlie Appleby has hinted that Blue Point is on track for a possible rematch with last week’s King George Qatar Stakes winner Battaash in the Nunthorpe at York later this month. 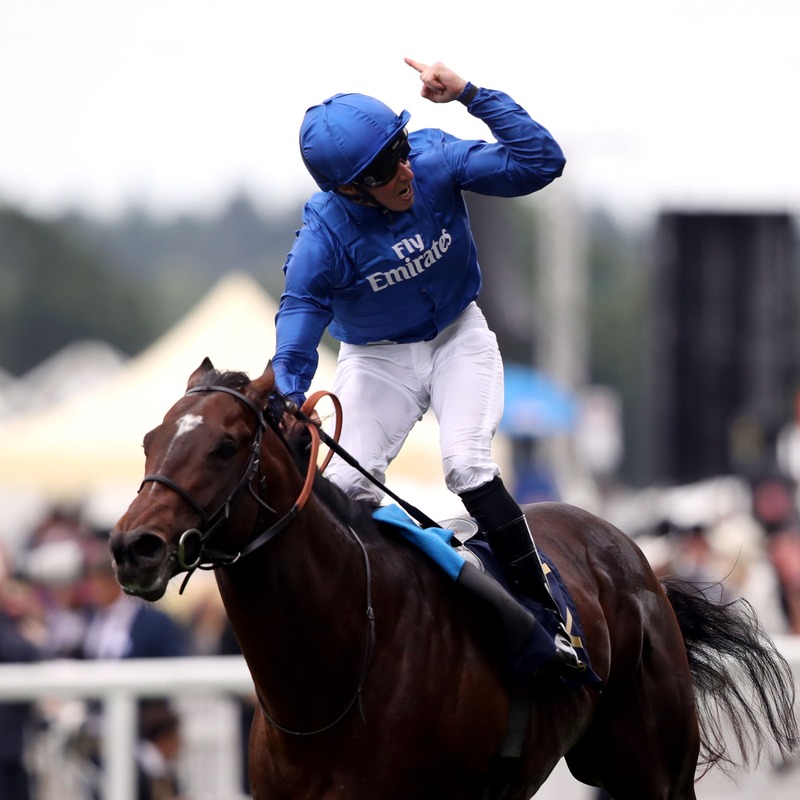 Appleby said: “We’re going to drop back to five first off and head for the Nunthorpe at York, but at the end of the day he held the track record over six furlongs at Ascot as well, so it’s a course that he seems to bring his ‘A’ game to, whether it be five or six furlongs. Harry Angel, another who could potentially carry the blue Godolphin silks, has been closely matched with Blue Point in the past. Winner of the July Cup and Haydock Sprint Cup in 2017, he was injured in a stalls incident in the Diamond Jubilee Stakes. Trainer Clive Cox said: “He obviously had a hold-up after Ascot and it’s very much day-by-day with him. The aim is for him to be ready for the Haydock Sprint Cup and we’ll see how that goes first. The Tin Man, who took this coveted prize in 2016, is likely to have another crack. James Fanshawe’s charge showed his well-being when an eyecatching third in Sunday’s Prix Maurice de Gheest at Deauville. Fanshawe said: “The British Champions Sprint is a race we’ve run The Tin Man in for the last three years and he has always run well in it, so we’ll definitely be looking at running him in it again. Librisa Breeze, fourth in the Maurice de Gheest, made his Group One breakthrough for Hertfordshire trainer Dean Ivory when winning this race last year. “The race will be a major target again at the end of the season and we’ll just have a look at what we’ll do between now and then – I should think we’ll look for another race abroad,” Ivory said. Representing France is last year’s fourth City Light, who was beaten just a short head over course and distance in the Diamond Jubilee. Trainer Stephane Wattel said: “The British Champions Sprint is definitely an objective and we would really like to come back to Ascot in October. Battaash, who demolished the opposition in the King George Stakes at Goodwood last week, while Aidan O’Brien has 11 in the list.